In the present study, the effects of different concentrations of titanium dioxide (TiO2) nanoparticles on morphological parameters and on the quantity of the produced steviol glycosides were investigated as well as its effect on the parameters such as fresh weight of shoots, dry weight of shoots, membrane lipid peroxidation [in terms of malondialdehyde (MDA) assay], and concentration of stevioside glycoside in the plants. The results revealed that the plants treated with 400 ppm TiO2 nanoparticles had the highest fresh and dry weight of shoots, whereas those treated with 200 ppm had the lowest concentration of MDA and the highest quantity of stevioside. Therefore, the treatment with TiO2 nanoparticles had a significant positive effect on morphological and phytochemical properties of Stevia plant. The TiO2 nanoparticles transmit light energy to electrons, convert them into chemical energy, and ultimately increase CO2 stabilization, making them very efficient with respect to their photocatalytic properties. The results are very encouraging, and they show that there is a great potential for the use of such nanoparticles in increasing the metabolites in the plant. 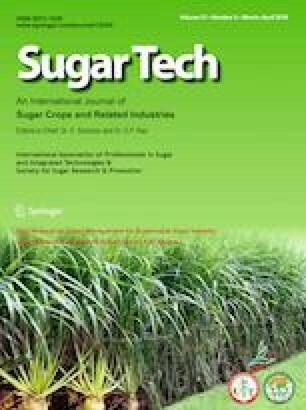 This is the first study evaluating the favorable effects of TiO2 nanoparticles on the highly valuable medicinal plant Stevia (Stevia rebaudiana Bertoni), in terms of uptake, translocation, and alteration of metabolic pathways in a concentration-dependent mode. We are grateful to the Damghan Islamic Azad University, Laboratory Research Complex, for valuable technical assistance. Johnson, A. 2005. Agriculture and nanotechnology. http://www.tahan.com/chalie/nanosociety/course201. Nanotechnology-Specialist-Headquarters. 2005. Complementary document future strategy (Ten Years Strategy of Nanotechnology Development in the Islamic Republic of Iran). http://www.nano.ir 5.